Video Surveillance as a Service (VSaaS) is enabled by cloud computing, where resources, software and information, are easily provided to computers and other devices on-demand. VSaaS solutions can include self-monitoring, real time alerts, integrated analytics and off-site storage. An example of a VSaaS deployment includes integrated security systems incorporating on-site and off-site storage and remote video monitoring by a central station. EpiCamera Cloud Surveillance Solution service allows customers to leverage the power of the cloud to securely access and store their live video streams or captured images online. Once you've registered with EpiCamera, connect it to supported IP camera with FTP feature and integrate it with EpiCamera system. The camera will be live at your secure portal almost instantly as seen below. With Cloud technology, these videos can be recorded and viewed in real time. The screenshots above are taken from four cameras at different locations. 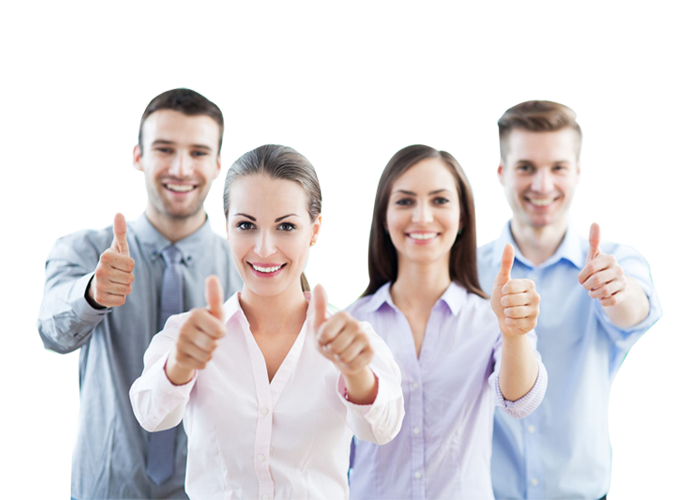 EpiCamera server is hosted at Amazon Web Services which offers the ability to store high quality image remotely in the cloud. EpiCamera Cloud Surveillance Solution is also highly dependent on the availability of reliable high speed broadband services. If the speed is relatively slow, it is recommended to set lower image quality for more effective uploads or downloads. In short, for an efficient cloud surveillance solution, these are your requirements at the very minimum: IP camera + Internet + EpiCamera Cloud VSaaS + Computer/Tablet/SmartPhone. Advantages of VSaaS compared to conventional DVR surveillance solution. As the video surveillance solution software is uploaded to the cloud, you only need to be connected to the Internet and use our most updated software via cloud directly. No software installation is required for VSaaS. For hardware installation, users can install their security camera faster and easier especially if they are using wifi or wireless IP camera. The EpiCamera VSaaS system supports literally all IP Cameras with FTP feature to connect to our cloud-hosted server. The simplicity in installation is a key element for VSaaS systems targeting home and small & medium business users. 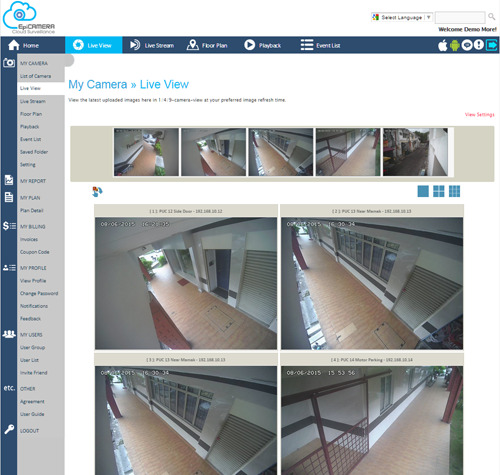 With the business intelligence module integrated in VSaaS, users can find out easily which camera has the most motion detected and the status of each camera. Reports of camera images, motion alerts report, upload statistic and downtime graph will be autogeneratedm saving much time on checking the efficiency of the surveillance system. Mobile and remote devices like BlackBerry, Android, iPhones, iPads and laptops can access to EpiCamera easily through the Internet, where you can still obtain alarms report, real-time and recorded videos even if the local storage is damaged. Most VSaaS systems include or require off-site storage managed by the service provider. EpiCamera VSaaS in particular runs on the reliable Amazon Web Services (AWS). Most VMS systems are designed for local storage such as DVR or NVR only, with options for remote archiving to one's own storage arrays but usually not to a cloud storage offering. The risk of a local storage is, it is inclined to being sabotaged in any break-in cases. EpiCamera VSaaS system is designed to manage access of IP cameras by multiple users simultaneously. Different accounts can be created for each end-user with restricted access to the user's cameras. VMS systems generally assume the VMS software is being used only by a single organization. Thus, with a VMS, you have to manually create different users and restrict specific cameras to those users but it is a more manual and error- prone process. Check out more features and advantages of EpiCamera VSaaS for better understanding. From development to deployment, VSaaS eliminates many costs throughout a product’s life cycle. We do not need to purchase software, antivirus, DVR, and so on. Despite this, there were some obstacles to cope before real ROI can be achieved. IMS Research Market Analyst Sam Grinter once said that ‘pricing’ is the key hindrance of the VSaaS market despite its developments and convenience. But when technology advances, charges for IP camera, internet and cloud storage are lower compared to few years back. Therefore, using EpiCamera Cloud Surveillance System at affordable cost (low monthly subscription fee) with compatible cameras (which are relatively lower cost) to replace conventional DVR surveillance NOW can definitely create higher ROI than any other time in the history. The only left barrier would be internet bandwidth. However, there are much improvement in most countries where higher internet speed is achieved by not so expensive internet subscription rate. For large corporates which use more than 8 cameras running 24/7 internet fees and bandwidth might be an issue, but for SME or home users, internet bandwidth will not be the factor to stop you from using cloud surveillance that provides you so many advantages that DVR cannot give. Many benefits of VSaaS cannot be perfectly calculated into ROI because cloud products create surplus value through mitigating future risk and making the company more adaptable to suit future needs. Still, the ROI of VSaaS can be used to demonstrate the impact on profitability from employing a well-considered VSaaS strategy. To conclude, if you are using less than 8 cameras, it will be unwise if you are still hesitating to switch to EpiCamera Cloud Surveillance Solution.